Lorna Cole: I am getting married or there is no baby. Money exchange scene: the General asks his man who is inspecting the money "how is it? ", to which his associate replies, "no problem". In the theatrical release, he says: "very good". Q: How did Murtaugh get all that money if he wasn't on the take? Well, the script in the film is brilliant. Joe Pesci, as always, makes the crowd laugh until they have tears in their eyes. Just by having Chris Rock in the cast makes the film worthy of watching. 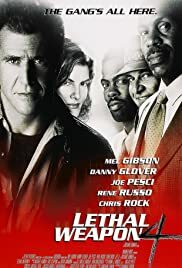 Just like the other lethal weapon films, there's the great duo that makes this film shine, and of course that i am talking about Mel Gibson and Danny Glover. 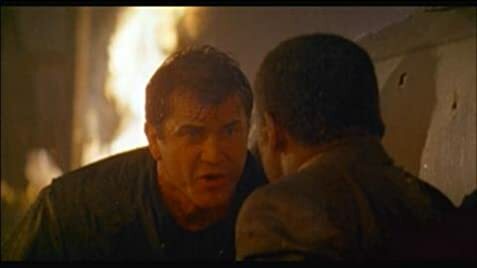 My favorite part of the movie is where Joe Pesci has a little "argument" with Danny Glover, and the constant mistakes by Mel saying the name of Cris Rock's character are hilarious. The roof top jumping and the last fight with Jet Li was also great. So if you haven't seen this, get some some money from your parents and go and rent it!! !